Shake your BOOOOOTY tonight at the Forge Halloween Costume Ball. We will be sporting costumes and Forge Fantastic prizes! Voting begins at ? Party ends at? Show up in your most original, sexiest, and scariest costumes. Let your inner circus performer out tonight. We will be rocking the house with Jimmy Wallace & Jerry Don Branch. Come on out! What’s that Wild Hog Festival about? Hog Fest is nearing…Only 3 weeks and the frenzied cooks will be buzzing like bees, huddled around their smokers into the wee hours of Saturday morning. They will be religiously checking their meats and trying to stay warm around campfires as the festivities start inside Moores and The Forge Friday night. Several will dash into the warmth of one of the local venues to be greeted by friends and strangers. 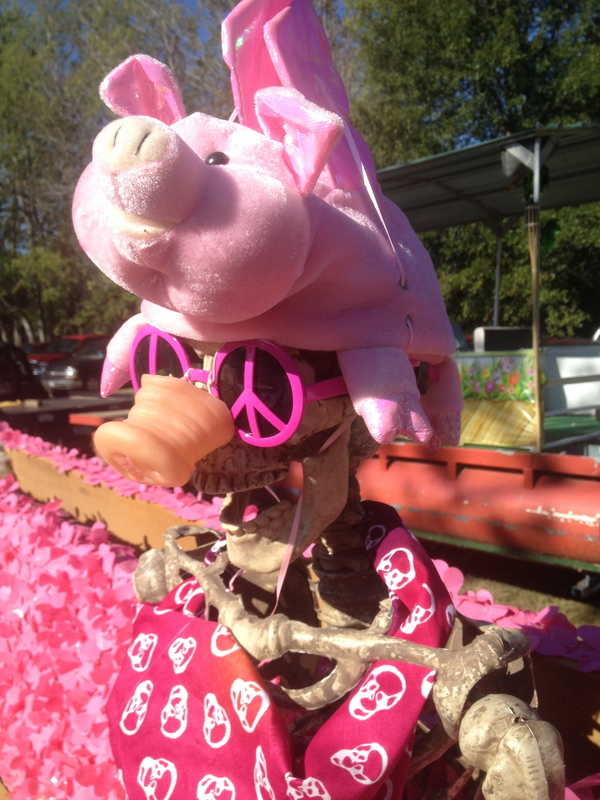 All will have stories detailing their eventual win of the Feral Hog Cook-off. That night the Hog queen will be crowned and the fun ensues for yet another 24 hours, to include a comedic parade, an onslaught of free wild hogmeat, amazing music coming from every pore of the little town, vendors selling all sorts of East Texas pride, and the outpouring of visitors who are experiencing it all for the first time. Yes, ladies and gentlemen, welcome to Ben Wheeler’s Hog Festival. People ask me what it’s like. Some would giggle and scoff, but once you get there, you see what a feast it is. It is a feast for all the senses. Those who take part in the parade design floats that prove their devotion to the small town through unique pig inspired moving creations, the smell of the smoked meats and campfires, the taste of the homemade sweets from the local Scouting troop, the music resonating through your body and the feel of that cool October breeze bringing it all to you on a silver platter wake every sense that you have. You find yourself falling in love with a small town that would otherwise never have been on your radar. That’s when you step inside a place like the Forge. It’s been dubbed “Our Cheers.” If your old enough to remember that show, then you know what I’m talking about. There is something about walking into a small bar and feeling like you immediately belong. When you get there, that’s when you know that this is a place you’ll come back to. The locals will tell you their tales and tell you about the great shoppes. You’ll probably even get to meet a few of the shop owners. It will then become clear to you, why we love this place. It has a heart and soul and when you walk in, you immediately become a part of it. This little town was forgotten for a long time and now it’s thriving with life again. The Hog Fest is not only a “small town festival,” it’s a small town revival. There is no shortage of food, music or fun that weekend or any weekend for that matter. So if you want to see what it feels like to really be a part of a community, come down that for the festival. You might just end up loving it here.